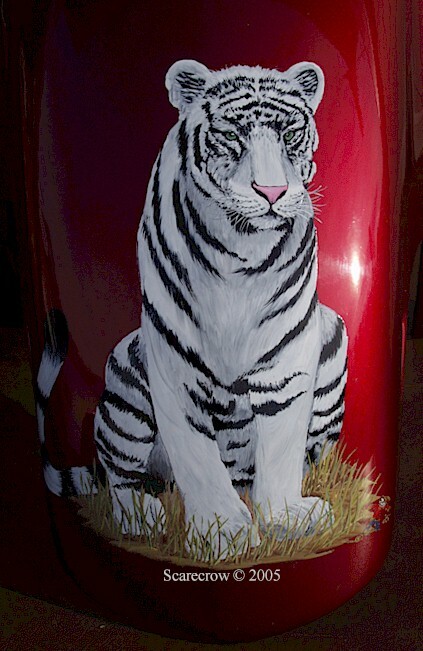 This is a series of White Tigers I put on a 2003 Gold Wing. 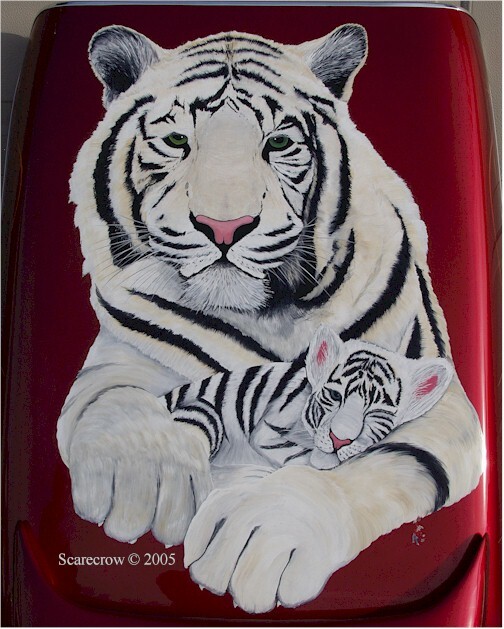 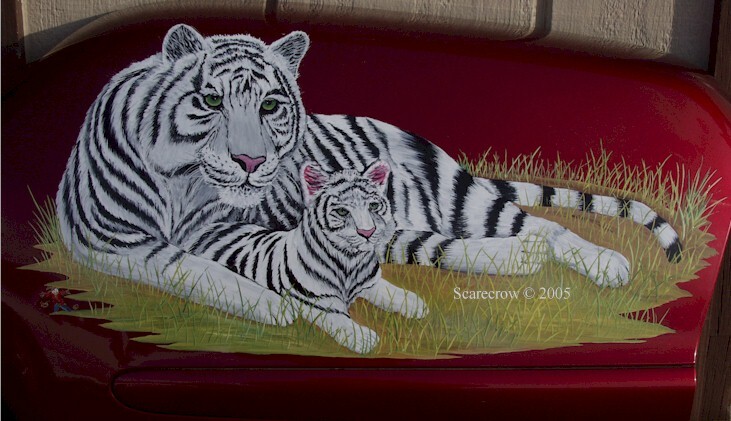 The White tiger and cub is painted on the lid of an Escapade Trailer. 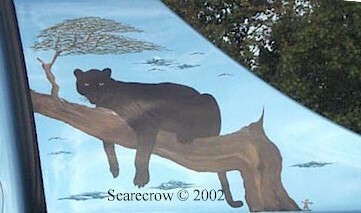 It measures a little over 3 feet tall by 2 feet across. 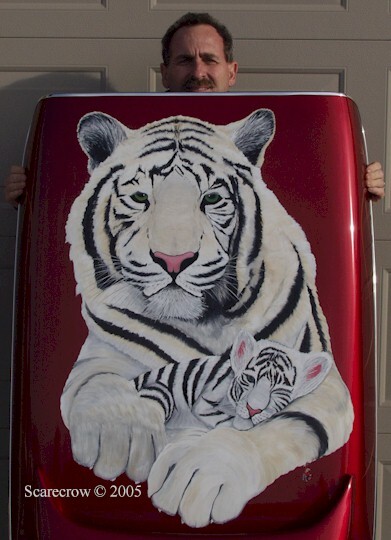 This is on the rear trunk. 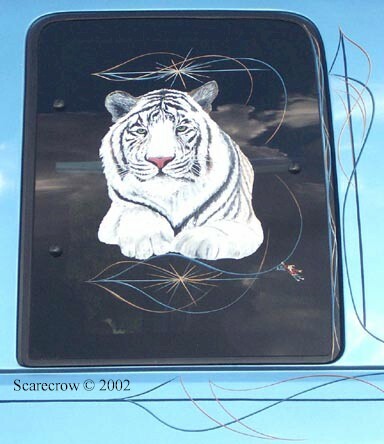 These are the saddle bags. 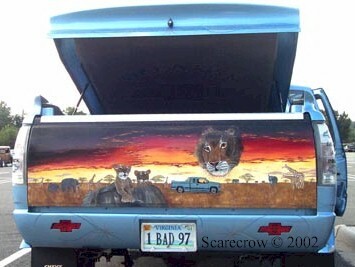 Over 100 hours of art on this "1 BAD 97" Chevy Silverado Show Truck. 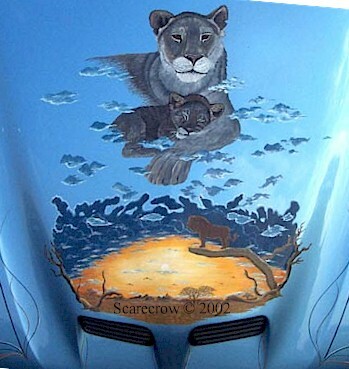 It has won many 1st place awards at Super Chevy Shows nationwide. 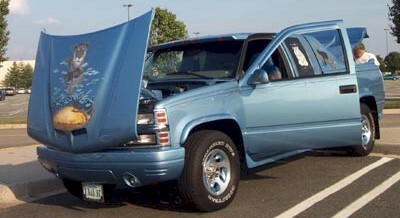 driven through, the interstates used and every Super Chevy Show city. 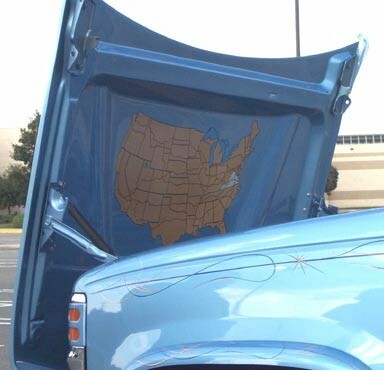 It is proudly owned & displayed by Dale & Ernie Hall from Richmond, VA. 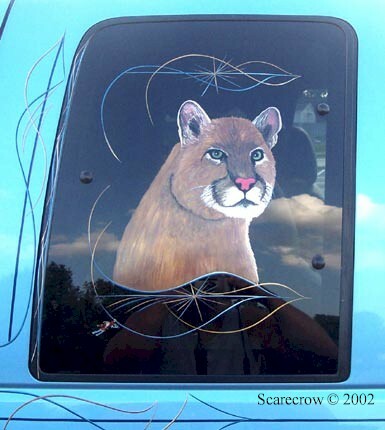 Even the window glass has artwork on it.